THE COMPETE GUIDE TO COACHING AT WORK is a timely and important book for people looking to step into the dynamic and progressive area of coaching. This comprehensive, unique reference explains the basic principles and key concepts behind this increasingly well recognised, effective method of achieving change and development in organizations. Coaching follows a well defined, systematic logic which produces results that can be powerful. This book provides a concise, step-by-step blueprint of successful coaching methods, models and tools, using case studies and an accessible format to make it easy to use and informative. It contains useful insights on how to permanently enhance personal and organizational effectiveness, performance and growth in the work place. 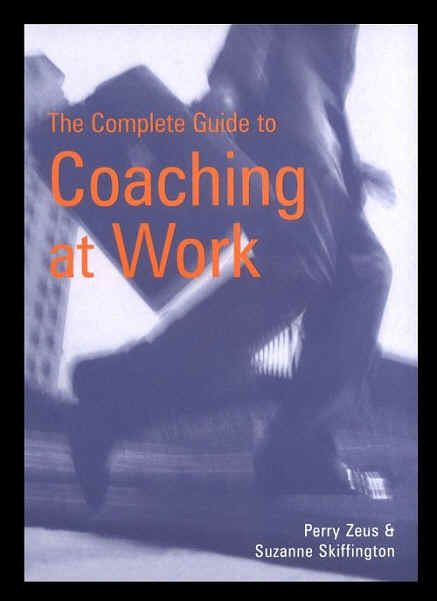 The authors have combined their wealth of research, professional knowledge and experience as successful Master Coaches to write this book and make a valuable and substantial contribution to current literature on coaching.